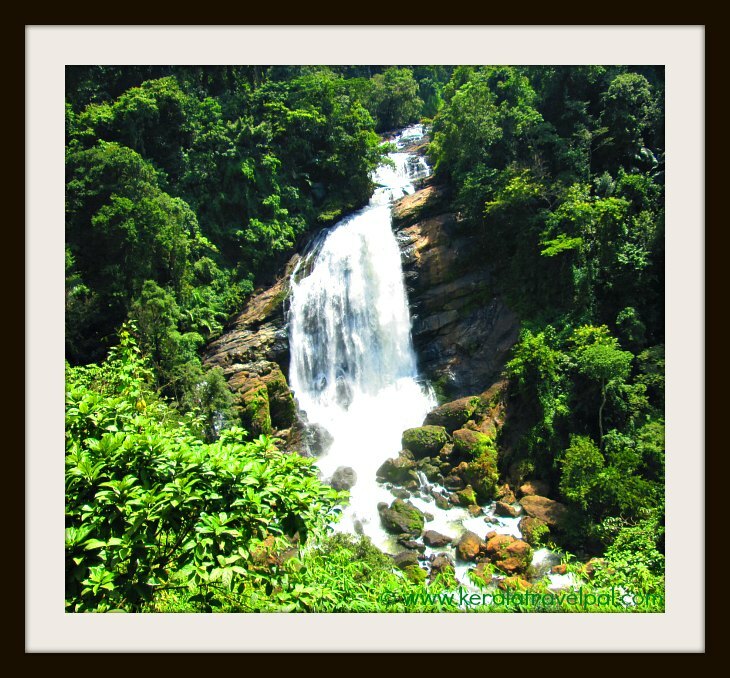 Valara waterfall is often mentioned together with Cheeyappara fall. They both are road side attractions of Cochin – Munnar highway. However, the distance between them is about 12 kms. Unlike Cheeyappara, Valara fall is not right next to the road. It is not too far either. Located about 50 metres or a bit more from the highway, can be seen in its full glory right from the road. The stream that creates the waterfall is surrounded by dense growth of trees all around. The patch of rock where water cascades down is the only exception. The cascade is alive even in summer, however the size is greatly reduced then. There is no access to the waterfall. So the only thing to do is view it from the road side. There are a few shops across the road. Time permits, can settle with a coffee at the top floor of the restaurant, enjoying fabulous view of the jungle. There a few waterfalls within the jungle. They are hard to reach. Any jungle trek needs the help of an experienced local guide. Valarakuthu, the location of the waterfall, is about 23 kms past Neriyamangalam, if you are travelling from Cochin to Munnar or Thekkady. After Neriyamangalam, the ghat road begins. Soon you will come across Cheeyappara, which is right next to the road. About 12 kms after Cheeyappara, you will hear the roaring noise again. Stop the car there; otherwise you may miss the waterfall since it is a bit off the road. The hill station town of Adimali is just about 7 kms from Valarakuthu. Nearest towns: Neriyamangalam at 23 kms, Adimali at 7 kms, Munnar at 33 kms and Cochin at 95 kms. Bus Station: Neriyamangalam at 23 kms or Adimali at 7 kms. Taxi Hire: Neriyamangalam at 12 kms or Adimali at 7 kms. Railway Station: Eranakulam Railway Station at 97 kms, Aluva Railway Station at 76 kms. Air port: Cochin Int’l Airport (COK) at 74 kms. Food Options: Restaurants at Kothamangalam, Neriyamangalam and Adimali towns. Accommodation Options: Adimali town has some hotels. More choice at Cochin and Munnar. Best time to visit: Throughout the year. The waterfall is perennial. Nearby Attractions: Cheeyappara waterfall, Chengulam dam, Chinnar Wildlide Sanctuary, Marayoor, Manavan Shola, Periyar Tiger Reserve, Kumali, Munnar, Devikulam, Peerumedu, Eravikulam National Park, Mattuppetty, Arch dam, Idukki wildlife sanctuary, Anamudi, Eco Point, Top Station, Thommankuthu, Keezharkuthu, Attukal, Chellarkovil, Carmalagiri elephant walk, Anachal, Malankara reservoir, Mangala Devi Temple, Meenuli, Kundala dam and Kalvari Mount.